The lifesaving function of stents, which are small mesh tubes inserted inside blocked arteries to open up the passage for blood to travel from the heart to other parts of the body, have resulted in their swift sales. Majorly fuelling demand for stents, globally, are the rising occurrence of cardiovascular diseases, alarming increase in cholesterol levels, and rising prevalence of respiratory disorders. Further, rise in unhealthy eating habits such as smoking, alcohol intake and sedentary lifestyles, all of which up instances of cardiovascular disorders, are also serving to boost demand in the market. Obesity and hypertension are some other health conditions associated with the blockage of the arteries. Posing a challenge to the sales of stents, on the other hand, are the risks pertaining to their insertion. This is because, they can result in blood clots, soreness, allergic reactions, infection of the vessel, re-narrowing of an artery, and development of kidney stones on using a stent in the ureters. From a geographical standpoint, North America and Europe are major markets for stents because of new varieties such as bioresorbable stents gaining traction in the region. In Asia Pacific, Japan, India, Australia, and China are primarily powering growth on account of their gradually increasing healthcare infrastructure, helpful government regulations and policies, and prevalence of cardiovascular diseases. Medtronic, Inc., OrbusNeich, Eurocor GmbH, Cordis Corporation, Sahajanand Medical Technologies Pvt. Ltd., Micell Technologies, Inc., MIV Therapeutics, Inc., Bioring SA, Abbott Laboratories, and Boston Scientific Corporation are to name a few prominent vendors of stents in the global market. Stents are tiny tubes that doctors can insert into a blocked passage to keep it open, so as to facilitate the flow of fluids such as blood. Made of plastic, fabric, or metal, stents are needed when plaque, a substance made of cholesterol, attaches itself to the walls of a blood vessel. An emergency procedure may also require a stent if an artery of the heart is blocked. Apart from blood vessels, stents also aid in the opening of bile ducts, airways of the lungs, and tubes that carry urine to the bladder from the kidney. Increasing incidence of cardiovascular diseases, high levels of cholesterol, and growing prevalence of respiratory disorders are some of the prominent growth drivers of the global stents market. Growing adoption of unhealthy lifestyles and eating habits, along with harmful practices such as smoking, drinking alcohol, and lack of physical activity have been the major reasons for increased prevalence of cardiovascular disorders. Obesity and hypertension are some other health conditions associated with the blockage of the arteries. On the other hand, the growth of the global market for stents might be restricted on account of the risks associated with the inserting of stents, such as soreness, blood clots, allergic reactions, infection of the vessel, re-narrowing of an artery, and development of kidney stones on using a stent in the ureters. However, the risks of not using a stent outweigh the risks of getting one, because blocked blood vessels and limited blood supply can have life-threatening consequences. The coronary stents segment is likely to present considerable opportunities, with the bioabsorbable or bioresorbable stents commanding maximum share. The increasing number of approvals of new stents worldwide is expected to result in better patient outcomes, thereby raising the demand for stents. For instance, in March 2017, CeloNova BioSciences, Inc. achieved the approval of the U.S. Food and Drug Administration (FDA) for its nano-coated coronary stent system, COBRA PzF. The Health Ministry of India approved the nation’s premier locally made naturally dissolving stent, ‘MeRes100’, developed by Meril Life Science, a Gujarat-based company. Also known as bioresorbable cardiac scaffold, these stents are made from a material that gets absorbed by the body and disappears gradually over a period of three years. Before Meril Life Science, Abbot India came up with its ‘Absorb’ stents in 2012. In India, the price of coronary stents has been reduced by almost 85% by the government. A drug eluting stent, which was previously priced between Rs.40000 – Rs.170000, will now be made available at Rs.29600. This development will boost the deployment of previously expensive stents such as bioabsorbable vascular stents (BVS) in India to a significant degree. Based on geography, the global market for stents can be segmented into Asia Pacific, Europe, North America, and the Rest of the World (RoW). The rising geriatric population worldwide has led to a rising frequency of various diseases that require stents for their treatment. As a result, the demand for stents will rise substantially. The countries in North America and Europe are expected to represent a significant share in the global stents market owing to the rising awareness about the benefits of bioresorbable stents. 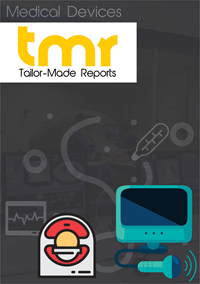 The stents markets in India, Japan, Australia, and China are likely to expand steadily as rising healthcare infrastructure, beneficial government regulations and policies, and rising incidence of cardiovascular diseases are accelerating the demand in these regions. Some of the major companies operating in the global stents market are Medtronic, Inc., OrbusNeich, Eurocor GmbH, Cordis Corporation, Sahajanand Medical Technologies Pvt. Ltd., Micell Technologies, Inc., MIV Therapeutics, Inc., Bioring SA, Abbott Laboratories, and Boston Scientific Corporation. The global stents market appears to be highly fragmented in terms of competition. Several leading companies at the global as well as regional levels have been adopting business strategies such as mergers, partnerships, and acquisitions to make a mark in the market.